Masks that hide who we really are. Masks to keep people from ever really seeing the real you. Masks that tell others we are “ok” when we really aren’t. Masks that allow us to be accepted by those that we want acceptance from. 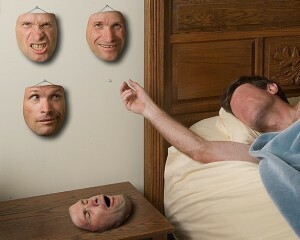 Masks that we wear so often that we even convince ourselves that that is who we really are. We do this so often that many times we do it without any thought. It is just the natural progression of our typical day. It starts early in life. Every morning when we wake up and put on our first mask of the day. We have many of them. We have a mask for our children and family to see, a mask for our spouse to see and another mask for work. We put on a new mask for when you are out with friends and another mask for those we hardly know. We have a mask that we wear to church and we wear a mask to do our grocery shopping. A mask for all the different situations of our life. Some of these masks are better than others. We wear them to hide our insecurities. To cover what we are afraid of. To hide the fact they we are unhappy about where we are in life. We wear masks to cover our failures in life, we wear them to hide the “real” person we are. In public, we all want to show that we have it together and that all is well,but in most situations that is the farthest thing from the truth. We hide behind these masks and we actually think we keep it from everyone what and who we really are. But just like our sin that we think we keep private… it is no secret. God knows. 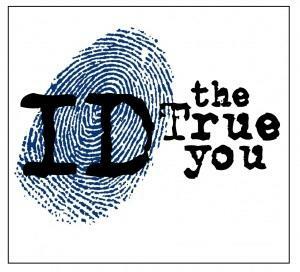 He has identified the true person we really are and what we really have done in our lives. He sees us. A mask doesn’t keep Him from knowing what we have done and He sees every aspect of us. I often wonder what the world would look like if I could see this world thru His eyes? Would I love those I come in contact with if I could see what God sees? If I could see what others struggle with it would it change how I interact with them? If I could see that a friend is insecure how would I treat them and comfort them? If I could see that a neighbor is afraid what would I do? If I could see that a co-worker is depressed what would I say? If we could see what’s really going on with each other it would change everything. What’s fascinating to me is that God does see. He hears the unspoken words, he knows the unheard thoughts, he knows us. And because He knows, He deals with people in a merciful and gracious way. He sees us as we really are and yet He still loves us. I shudder to the depths of my soul to know He sees me as I really am. I know this, that in spite of what He sees, He loves me. He sent His Son, Jesus Christ to die on a cross specifically for me. He did the same for you. My prayer is that I can catch a glimpse of what God sees when He looks at me. If I could see this world the way He sees it, I just know I would serve Him more faithfully. Through Your eyes when men mock Your Holy Name. May this be my prayer for the rest of my life. As I grow older, I find that life comes at me in waves. Waves of blessings and sometimes waves of trials. When the good waves come, I love the way they hold me up and carry me to wonderful places of peace and contentment. Then, at times, the bad waves come and they engulf my life to the point that I just want to give up. This past week or so I have been caught in the depths of a period of time when wave after wave all I see are trials and problems. I spent a good portion of the last week in the hospital for blood clots and a blood infection. My right leg had swelled up to over twice the normal size and then I had a bad reaction to the antibiotic that I was initially given. Then, as I get released from the hospital, I come home wanting to spend the first night back in my own bed, I end up dealing with the 8 inches of water that is pouring into my basement due to series of storms that passed through my hometown. We have never had that much rain come down in the hour and a half the storm lasted. I spent the night watching the water rise and there wasn’t a thing I could do about it. The last few days have been filled with helping my wife clean up the mess caused by the flood. I did what I could (considering my health issues) and I am so thankful for my wife. She has worked so hard and she has kept everything together. My son, Nathan and my brother-in-law Mark were a big help as well. Without all of them I would really have been in a bad situation. Waves come and go. We so easily think that when we are crushed by a wave that this is the way it will always be. We’re wet, beat up, tired, off-balance with the force of the wave, but the wave will pass…another will come soon, but that will pass as well. 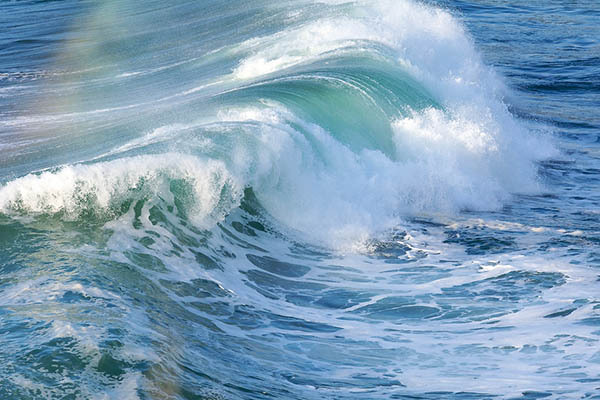 The challenge for us is to realize that these waves of both good and bad are part of the normal tides of life. Bad things happen to all of us. We hate hearing that a loved one has cancer or that someone lost their job. Life has never been easy. God never promised us that we would be trouble-free. So don’t let one wave knock you off your feet and defeat you. It will pass and the next one might be an amazing blessing. One thing for sure….life on our little world is never boring! There’s always another wave coming to make your life exciting. Anticipate what’s ahead, don’t dread it. God is in charge of your life and if the wave brings flooding and problems, remember it’s just one wave. It will pass, you will grow in faith and God will work in your life. Enjoy the good waves when they come. Endure the hard ones. They are all part of a life lived.